A picturesque pub in heart of Sandford that offers unique fresh foods and our complete range of ciders as well as local ales and a selection of quality wines,spirits and minerals. The pub is dog friendly and has free wifi. Come to the heart of the village and enjoy this traditional country pub, with its welcoming bar area and open fireplace. Natural stone features, comfortable surroundings and a traditional oak-framed dining room create a fantastic space in which to relax, eat and drink. Eat in the informal bar area or in the dining room. Expert food and cider pairings come highly recommended and all dishes, created in the new kitchen, shine with their expert execution, taste and flavour. 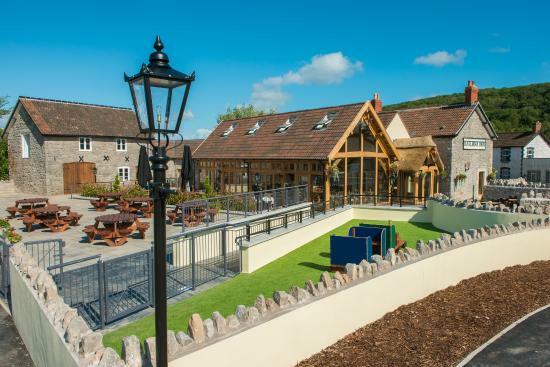 In the landscaped pub gardens you’ll find plenty of outdoor seating, a children’s play area and a wendy-house constructed from one of the traditional out-buildings. A large grassy area will soon be available for picnics and local events. We enjoyed a lovely sandwich in the beautiful ambience of the Railway Inn. The staff were all very friendly and the food was great. Cider wasn't bad either...…!! Great food, great atmosphere I appreciate it was a busy day but service was a little slow. Beautifully designed pub & restaurant- excellently staffed. Nice place for lunch, food was tasty & fresh. Cater for children also. Prices were good. We had a wonderful evening, we were so well looked after, the food  & service was excellent! Thank you so much we will soon be visiting again. Exceptional service from the manager. We always choose to come here it's such an amazing place with great food guaranteed. Excellent service with friendly staff and good food & drink. Good food and selection of drinks, lively atmosphere, good service from the staff. Very welcoming staff, very cosy and lovely food. A 5 Star experience , All staff very friendly,the food was more than we expected we will be back very soon thanks. Fantastic meal. Quality menu and great range of ciders all served by friendly staff. Food is good but limited menu and it gets quite stagnant. Highlights were the smoked haddock fritters, and the hangar steak was lush. 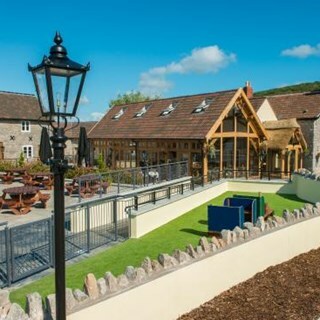 Go there for a light meal and try all the ciders! A busy night with two large parties but that did not affect the quality of the food or the service. Friendly staff.